I descended from Sydney Airport’s Arrivals Lounge last night to the sad news that Peter Porter has died aged 81. I only met Porter once, and briefly, at an awards dinner, where I was mostly struck by how out of place he seemed in that context: despite being one of the guests of honour, there was a diffidence about him that made it seem he would have been happier away from the press of the crowd. I came to Porter’s actual writing relatively late; other than odd poems in anthologies I’d read almost nothing of his until 2001, when I bought a copy of Max is Missing. As you get older those moments when you realise you’ve discovered a major writer become less frequent, but they’re no less thrilling when they arrive. Porter’s poetry is often praised for its depth of learning, and its fascination with the metaphysical, but I’ve always thought its power lay as much in the way that depth of learning and philosophical insight is worn so lightly: for a poet of such range and vision Porter’s poetry has an extraordinary lightness of touch, a conversational poise that belies its seriousness. In this it naturally recalls Auden, but Porter was, in many ways, a more contemporary poet than Auden, as likely to draw inspiration from the television as Tacitus. I’m sure in the coming days and weeks there will be many, many appraisals of his life and work, but for now there are terrific obituaries in the Telegraph and The Independent, and another, much shorter one in The Guardian, as well as brief mentions in the local media. 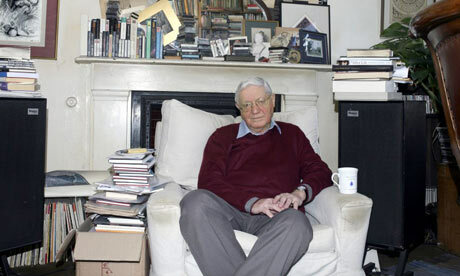 You might also want to take a look at Sarah Crown’s profile of Porter, which was published in The Guardian last year. For my part I’d just like to express my admiration for Porter and his work, by recalling his reminder in ‘Last Words’, that “Death/Has only one true rhyme,” a line that in its haunting simplicity captures something of the way a single line of Porter’s poetry could open worlds of possibility. Update: Stephen Romei has set up a tributes page at A Pair of Ragged Claws, which already includes a lengthy and heartfelt contribution by Jaya Savige. If you knew Porter, or admired his poetry you might want to head over and leave a note. ← Is that a turkey in your pocket or are you just pleased to see me? Hear hear! It says something though that I discovered news of his death from the London papers. Thanks for posting this, James. I’m currently spending a month in Tasmania so didn’t get this news through the newspapers – no comment on Tasmania’s newspapers, more that I’m trying to focus less on the world at large and more at my own work! BUT I have been listening to radio news every day and also the evening TV broadcast, and I’ve heard nothing about Peter Porter’s death. So strike one up for the bloggers, and pity that radio and TV, at least what I’ve heard of it, haven’t thought this a newsworthy story.